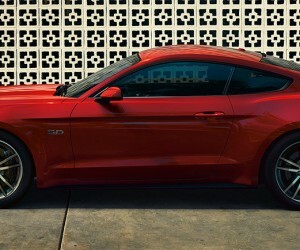 After years of anticipation by eager muscle car aficionados, Ford has dropped the curtain on the worst kept automotive secret in recent times, the 2015 Ford Mustang (S550). 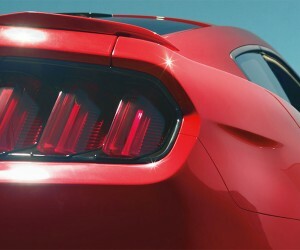 Renders and partial images of the car have circulated for over a year now, and full images were revealed earlier this week, but we’re finally getting to see the official release today, complete with high quality images, and at least partial specs on the latest generation of the iconic pony car. 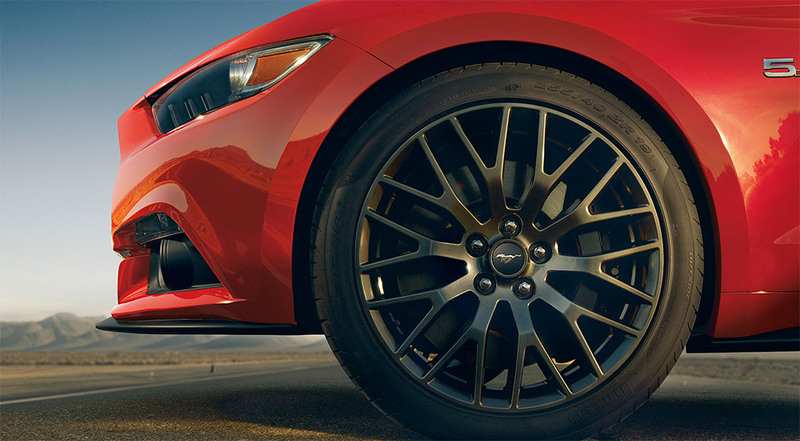 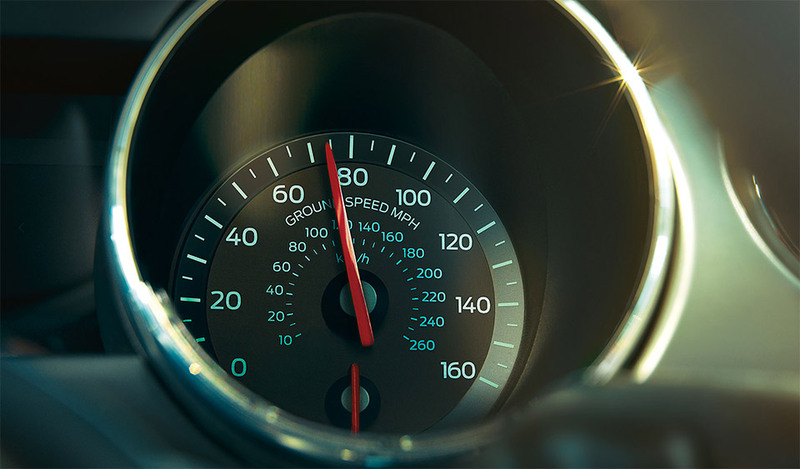 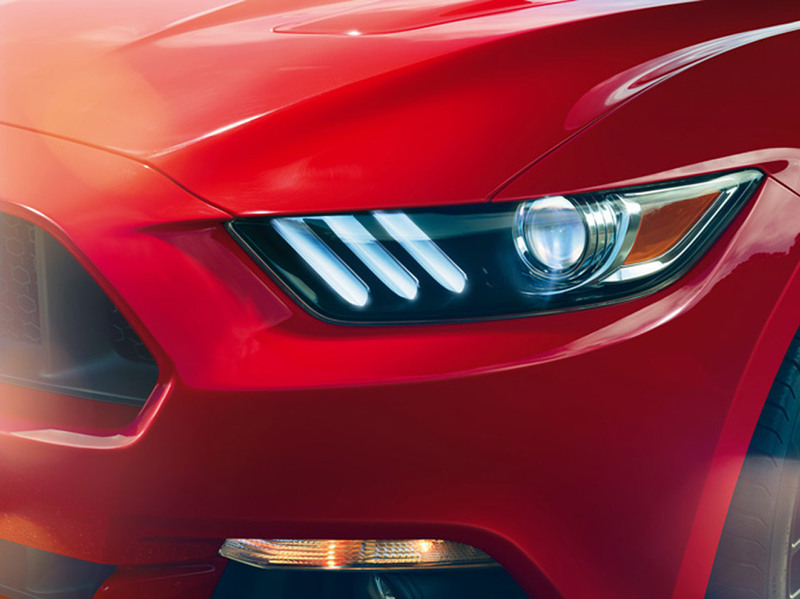 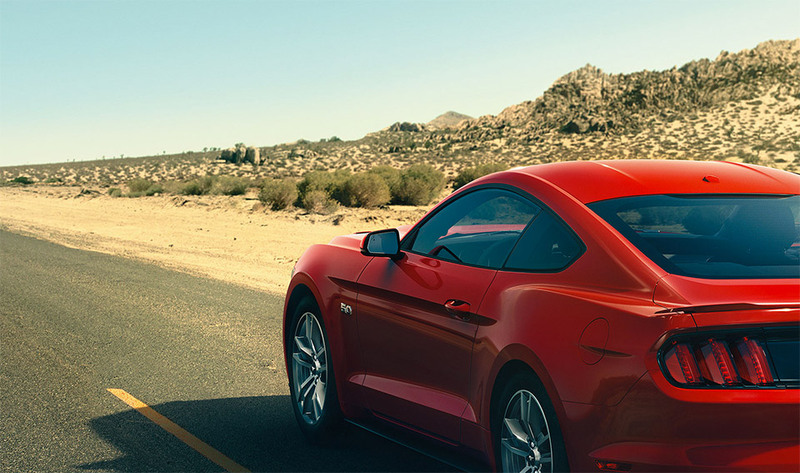 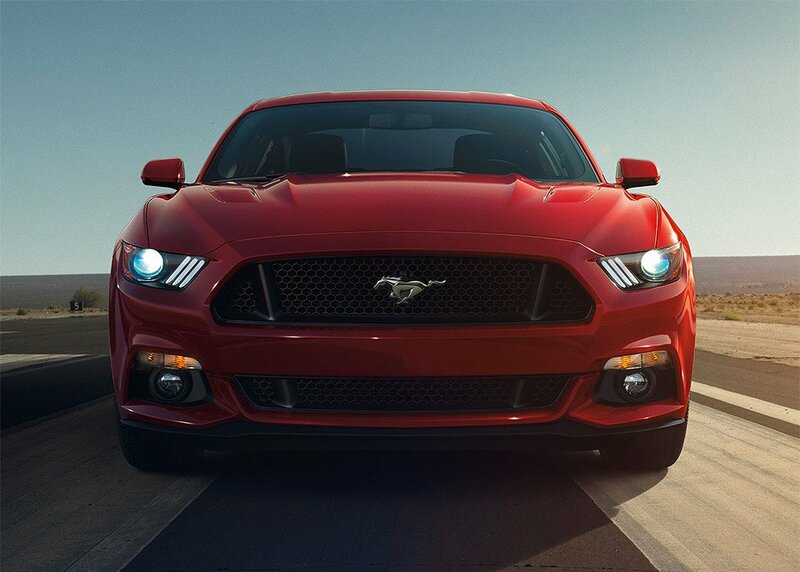 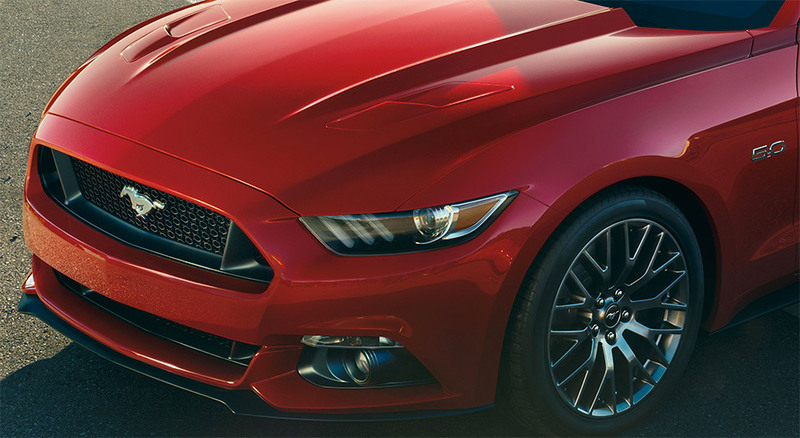 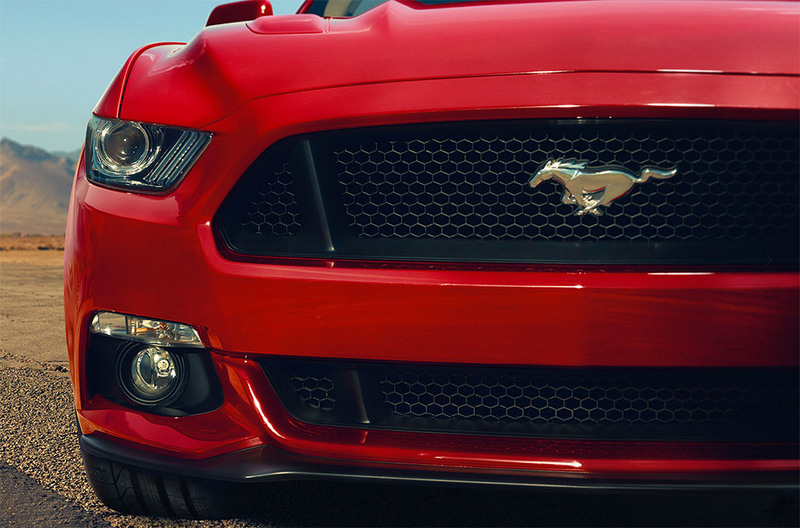 The sixth-generation Mustang is the first designed to be sold on a global stage, so the car required significant retooling in order to meet safety and fuel efficiency regulations around the world, as well as to support right-hand drive models. 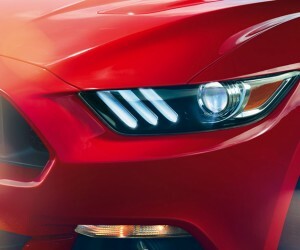 To help with fuel economy, the Mustang has dropped about 200 pounds from the last-gen’s curb weight, and will also be the first Mustang to ship in a 4-cylinder configuration in many years. 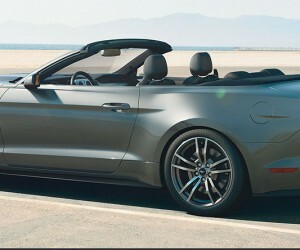 Most of this weight loss comes thanks to aluminum front fenders. 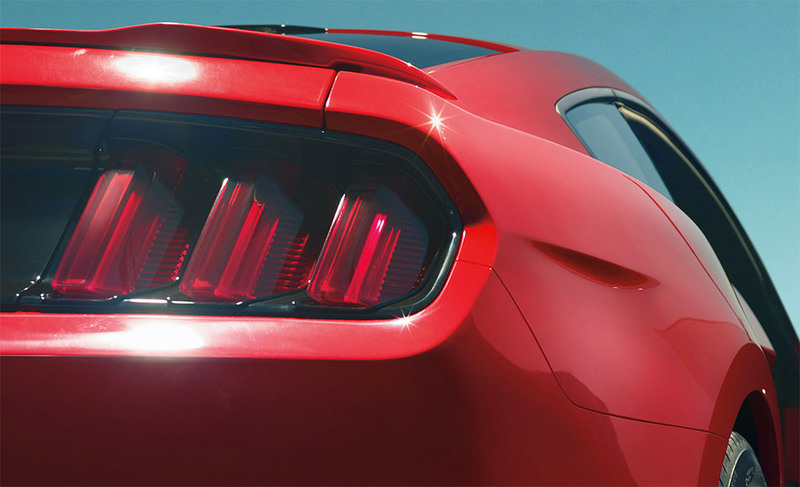 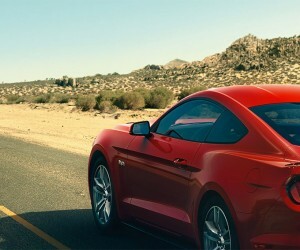 The back end of the new Mustang is more dramatically sloped than recent models, conjuring images of the classic 1965-1966 fastbacks, though the rest of the rear is quite similar to the fifth-generation cars – notably the triple tail light clusters, though they are a bit more spartan than the ones on this year’s model. 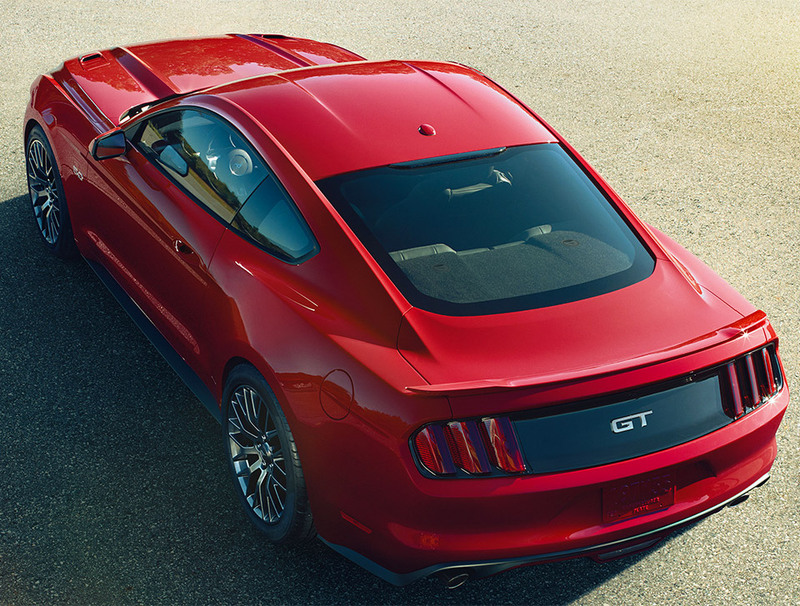 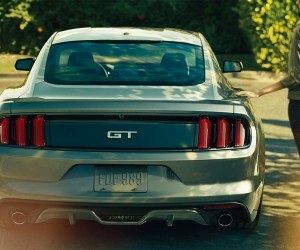 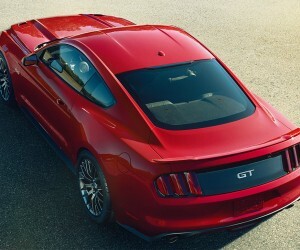 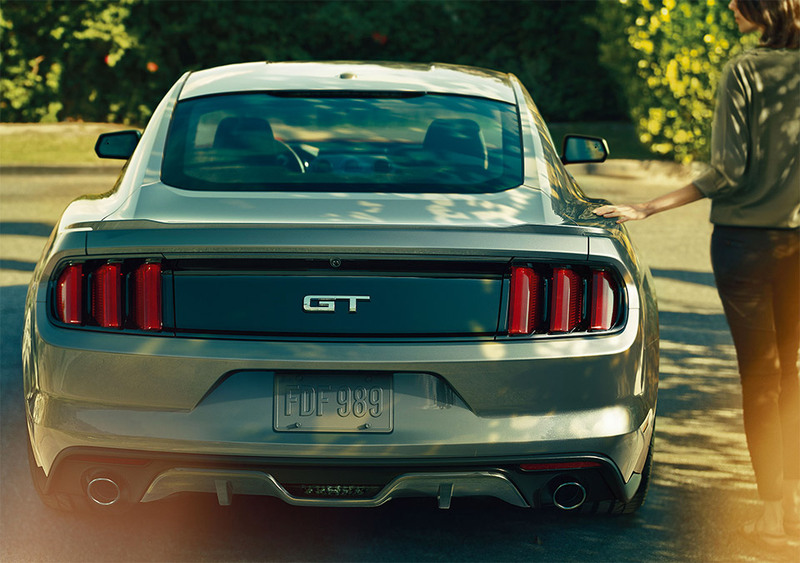 Also gone is the fat, button-shaped badge on back, which has been replaced with a more subdued horse or GT branding. 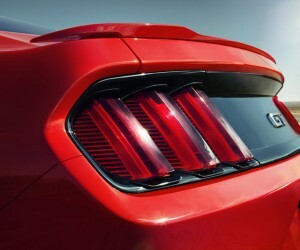 It also looks like the rear spoiler is much slimmer and better integrated than in past. 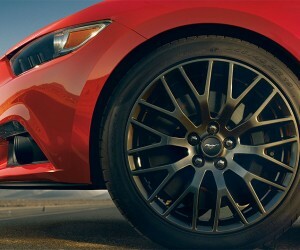 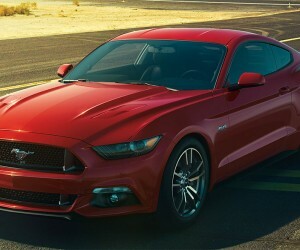 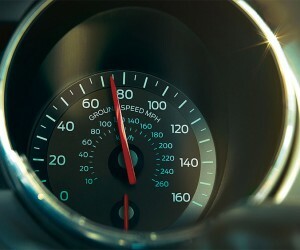 Engine variants for the 2015 Mustang include an improved Coyote-based 5.0-liter V8 – with 420 horses and 390 lb-ft. of torque, a 3.7-liter V6 with 300 hp and 270 lb-ft. of torque, as well as a new 2.3-liter 4-cylinder Ecoboost twin-turbo engine, which will likely outsell the six, thanks to its 305hp and 300 lb-ft. of torque, not to mention better fuel efficiency. 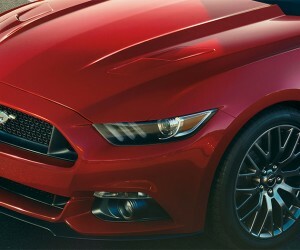 Two 6-speed manual transmissions will be available, as well as an automatic with paddle shifters. 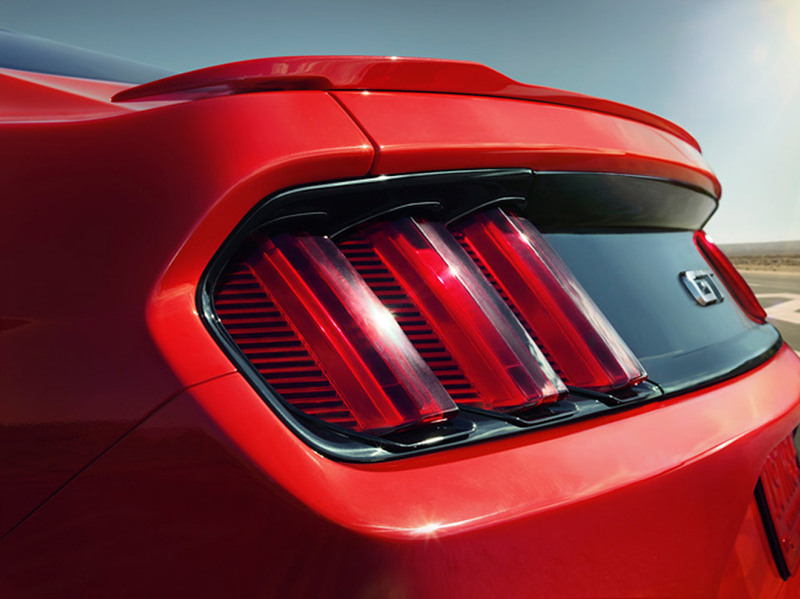 It’s also the first Mustang to have a fully-independent rear suspension, instead of a solid axle, which should definitely improve handling and reduce body roll. 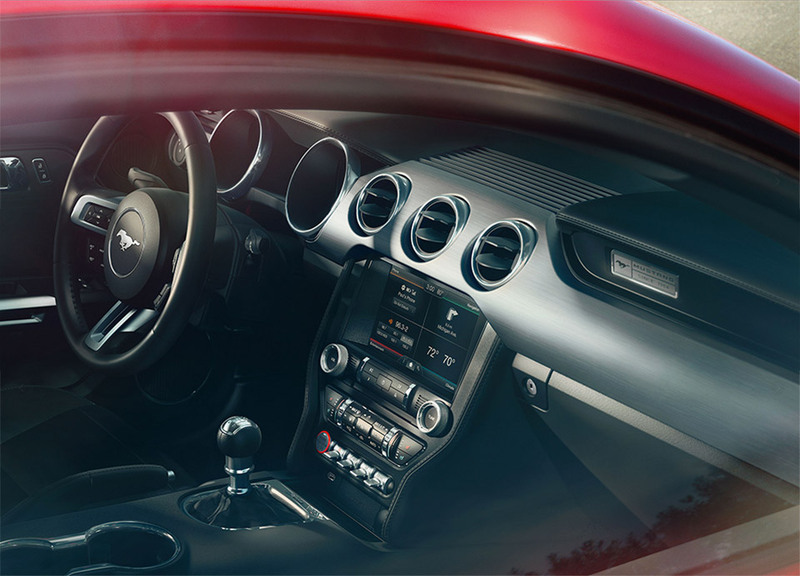 Inside, it’s a good blend of sporty minimalism and modern conveniences, with a concerted effort to make dials and vents round and more aircraft-like. There’s plenty of metal trim to go around in the cabin too. 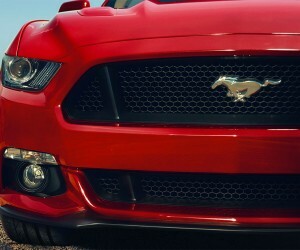 Keyless start is finally standard, as well as SYNC and MyKey. 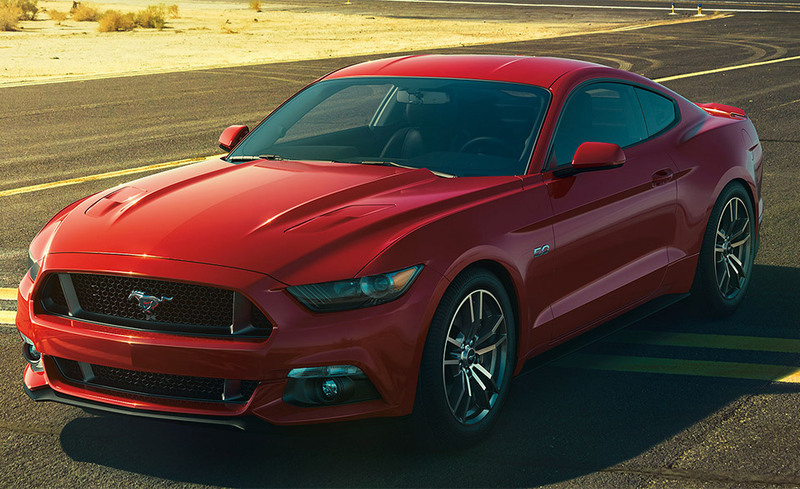 New options include SYNC with MyFord Touch, track data apps, custom color gauges, an updated Shaker audio system, adaptive cruise control, tire-specific TPMS, heated and cooled seats, as well as blind-spot monitoring and cross-traffic alert warning systems. 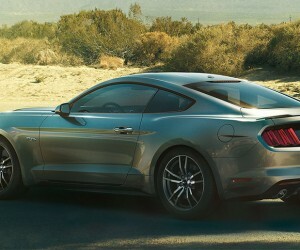 Optional selectable drive modes will allow for added control over steering, engine, transmission and stability settings. 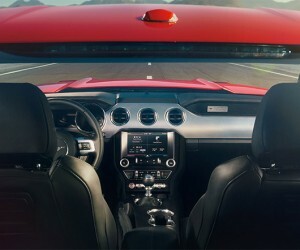 Of course, the new Mustang will come in both coupe and convertible models as well, and Ford claims the mechanism on the new drop-top runs twice as fast as the somewhat pokey model in the current model. 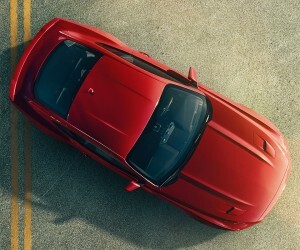 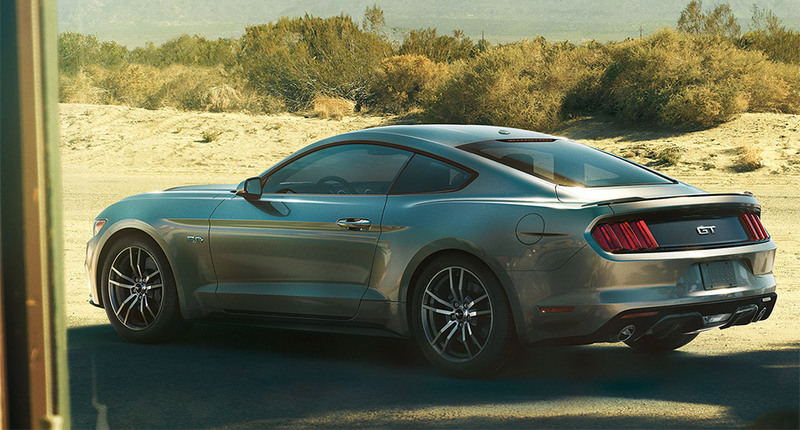 Ford expects to have the 2015 Mustang at dealers in late 2014, which means that those who are snowbound in the Winter may have to wait until Spring 2015 to really enjoy one.